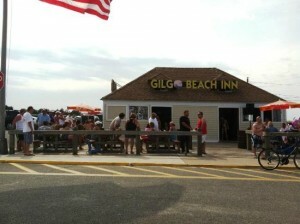 Once known almost exclusively as a summer community, residents know live on Gilgo Beach year-round. In 2011, the residents of the area constructed a large mural painting in the beach access tunnel. This was referred to as the West Gilgo Beach Mural Project.